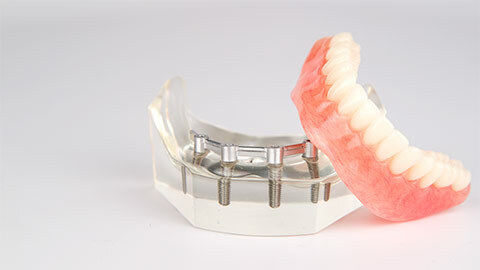 Dental implants provide a secure and permanent replacement for missing teeth. Whether you have just lost a tooth, or if you are considering an alternative to a bridge or dentures, you may be a candidate for an implant. Gateway Dental provides dental implant placement and care in Charlottetown. Dental implants are artificial replacements for a natural tooth root. To replace a tooth, we surgically place the implant into the bone tissue of your jaw, where it forms a strong bond with the existing bone. Then we can use the implant to mount a replacement tooth such as a crown, or as a support for an implant-supported bridge. With proper care an implant should last a very long time, although the crown or denture will need to be replaced periodically. To care for an implant, you brush and floss as you would a normal tooth. 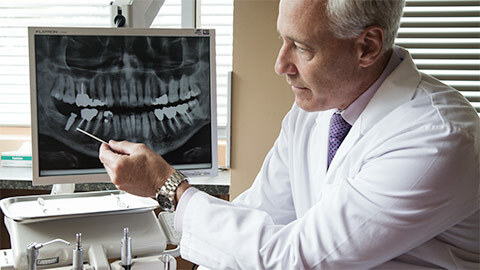 It is also vital that you have regular dental examinations to detect any issues that may cause problems. To book a consultation to discuss dental implants, call Gateway Dental today!